It may be difficult to stick to your fitness routine while traveling, depending on your reasons for traveling. However, with adequate preparation you can always find ways to perform some type of exercise every day. 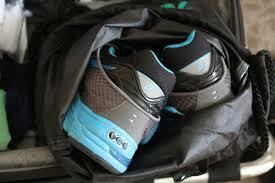 One of the first things to do before you take off is to be sure to pack a pair of sneakers and appropriate clothing. Without these items, you will most likely be stuck in your hotel room walking back and forth from the bedroom and bathroom which is no fun.. When you're on the trails, track or streets, you don't want to have to be worrying about your feet. Finding the right pair of running shoes can be considered an art form in some running circles. There are many things to consider when selecting the best kicks for all terrains and seasons. 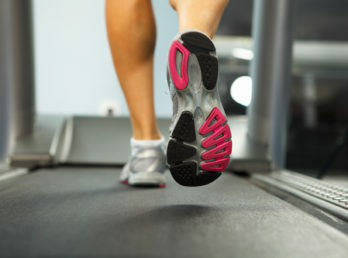 However, it's also important to understand those expensive Nike or Adidas shoes are not always the best option for you. Here are some other factors to consider when thinking about buying a new pair. 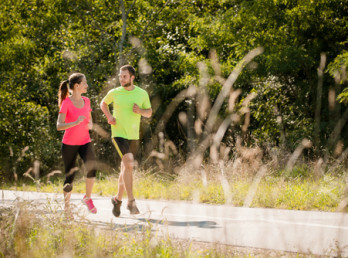 When it comes to running, if your mind is saying yes, but your body says no, it's time to transform your relationship. Instead of focusing on how difficult running can be at times, find aspects that attract you to it. Here are some suggestions to help you find your stride to transform your relationship from hate to love. It's always easier to start a new workout regime with a buddy who has similar goals. Not only will you keep each other accountable to the.